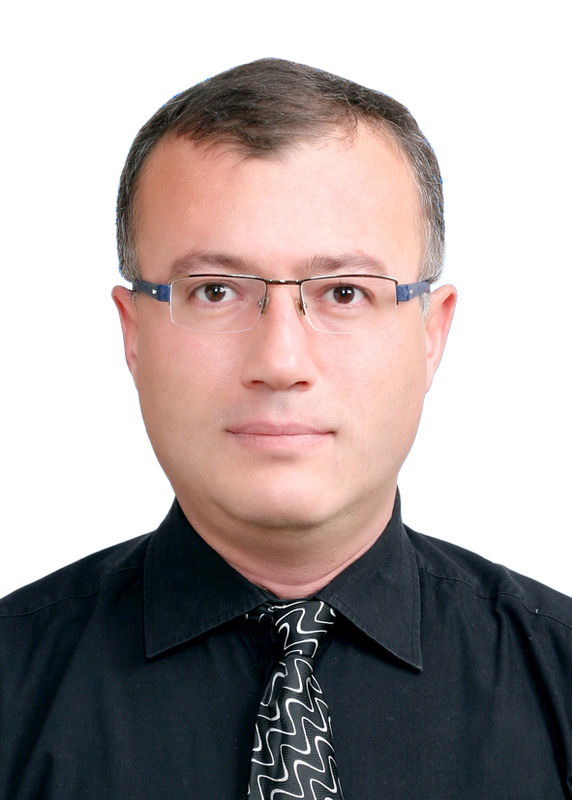 Dr. Erhan Atay joined the School of Business in 2017. He has nine years’ experience in teaching and worked in managerial positions more than fifteen years for private organizations in Korea. Dr. Erhan Atay obtained his Ph.D. at Kyung Hee University, Korea at Human Resources Management. Bayraktaroglu, S. Atay, E. (2016), Strategic Human Resources Management, Cultural and Contextual Factors, Beta Publishing Company, Istanbul. Atay, E. Bayraktaroglu, S. (2013), East Asia Management Systems: Japan, Korea, China and Taiwan, (Eds), Pasiad, Istanbul. Karsan, G. Atay, E. (2014), South Korea and Turkey’s Modernization, (Eds), Istanbul University Eurasia Institute, Istanbul. Atay, E. (2013), ‘Innovation Management in Hotel Industry’ in Innovation Models, ed. by M. Mesci, O, Bozkurt, Sidas, İzmir, pp. 23-44. Atay, E. (2013), ‘Development of Intellectual Capital in Turkey and Korea’, in Management in Korea and Turkey: Politics, Economy and Society, ed. by E. Atay, G. Karsan, Istanbul University Eurasia Institute, Istanbul, pp. 127-159. Atay, E. Karsan, G. (2013), ‘Modernization and National Human Resources Development Strategies in Korea and Turkey: Village Institutes in Turkey and Saemaul Movements in Korea ’, in Management in Korea and Turkey: Politics, Economy and Society, ed. by E. Atay, G. Karsan, Istanbul University Eurasia Institute, Istanbul, pp. 179-205. Atay E. (2013), `Japanese Holding Structures: Zaibatsus and Keiretsus` in East Asia Management Systems: Management in Japan, Korea, China and Taiwan, ed. by E. Atay, S. Bayraktaroğlu, PASİAD, Istanbul, pp. 51-72. Atay, E. Ayvaz, S. (2013) `Human Resources Management in Korea` in East Asia Management Systems: Management in Japan, Korea, China and Taiwan, ed. by E. Atay, S. Bayraktaroğlu, PASİAD, Istanbul, pp. 135-167. Atay E, (2013), `Human Resources and Innovation Management` in East Asia Management Systems: Management in Japan, Korea, China and Taiwan, ed. by E. Atay, S. Bayraktaroğlu, PASİAD, Istanbul, pp, 195-167. Karsan, G. Atay, E. (2013), `Civil Society and Volunteer Organizations` in Management and Strategy in Volunteer Organizaitons, ed. by M. Sarıkaya and S. Bayraktaroğlu, Gazi Kitabevi, Ankara, pp. 15-42. Atay E. (2014), `Korean Chaebols` in East Asia’s Political Economy: Development, Politics and Geo-strategy in China, Japan and Korea, ed. by, K. Ali Akkemik, S. Unay, Bogazici Universty Press, Istanbul, pp, 197-226. Jeong, W. N. Atay, E. Ozder A. (2014), `Civil Society and Labor Movements in Korea` in South Korea and Turkey’s Modernization, ed. by G. Karsan and E. Atay, Istanbul University Eurasia Institute, Istanbul, pp, 17-43. Atay E. Gunay, B. (2014), `Ethnic Nationalism in Korea` in South Korea and Turkey’s Modernization, ed. by G. Karsan and E. Atay, Istanbul University Eurasia Institute, Istanbul, pp, 77-93. Atay E. (2015), `Korean Unification through Civil Society` in Turkey- Korea Comparative Development, ed. by B. Gunay Istanbul University Eurasia Institute, Istanbul, pp. 13-35. Atay, E. Karsan, G. (2013) `to look at Turkish Modernization from the Korean Mirror: A Comparative Analysis`, Philosophy Study, pp. 51-164. Erhan Atay, (2012), `Innovation Actors in South Korea: An Analysis of University, Industry and Government Research Centers`, the Journal of Knowledge Economy and Knowledge Management, pp. 175-191. Atay, E. Karsan, G. (2013), `A Critic and Suggestion to Turkey's Way of Transition from Semi-periphery to Center: Role of Intellectual Capital`, China-USA Business Review, pp. 211-228. Karsan, G. Atay, E. (2013), `Another World is Possible: A Monograph on Wallerstein’s World Systems Analysis`, Journal of Academic Studies, and pp. 21-46. Karsan, G. Atay, E. (2013), `A Comparative Analysıs of Turkish and Korean Political Economy: Economic Crisis Perspective`, Atatürk University Journal of Economics and Administrative Sciences, pp. 272-302. Atay, E. Karsan, G, (2012) `Socio- Cultural Dynamics of Korean Economic Development: Neo Statist Approach`, Journal of Eurasian Studies, pp. 29-73. Atay, E. (2012) `From Crisis to Innovation: South Korea’s Venture Business`, Dumlupınar University Social Sciences Journal, pp. 239-254. Topal Z., Atay, E. (2015), `Understanding Social Work Organizations through Organizational Theory`, Suleyman Demirel University the Journal of Visionary Year: 2015, Special Volume on Social Work, pp.9-20. Atay, E. (2010), South Korea's Innovation Strategy. Presented in Eurasia Business and Economics Society (EBES) Istanbul Conference, EBES 2012 Istanbul Conference Proceeding CD, pp. 892-905. Held in Istanbul, Turkey, 24-26 May 2012. Atay, E. (2012), South Korea's Innovative Human Resources Policies. Presented in 7th Silk Road International Conference: Challenges and Opportunities of Sustainable Economic Development in Eurasian Countries Conference, 7th Silk Road International Conference Proceedings, pp. 67-75. Held in Tbilisi- Batum, Georgia, 24-26 May 2012. Atay, E. (2012), Evolution of HRM Practices in Korean Organizations. Presented in International Interdisciplinary Social Inquiry Conference, 1st International Interdisciplinary Social Inquiry Conference Proceeding CD, pp. 1-11. Held in Bursa, Turkey, 17-21 June 2012. Atay, E. (2012), High Performance Work Systems and Organizational Performance in Korea. Presented in 12th International Academy of Management and Business (IAMB) Conference, Proceedings of the 12th IAMB Conference, pp. 1-12. Held in Warsaw, Poland, 18-21 April 2012. Atay, E. (2012), High Performance Work Systems in Korea: Environmental Dynamism and Union Effect. Presented in 20th National Management and Organization Congress, Proceedings Book, pp. 564-567. Held in Izmir, Turkey, 24-26 May 2012. Atay, E. Karsan, G. (2013), A Comparative Analysis of Turkish and Korean Political Economy: Economic Crisis Perspective. Presented in Asia-Pacific Economic and Business History Conference, Asia-Pacific Economic and Business History Conference Proceeding Book, pp. 623-647. Held in Seoul, South Korea, 14-16 February 2013. Atay, E. Gursoy, F. (2014), Is Georgia Ready to Join European Unıon: A Human Capital Perspective. Presented in 9th Silk Road International Conference, Held in Tiblisi, Georgia, 3-5 June 2014. Atay, E. Bayraktaroğlu, S.(2015), a Convergence Approach to Define General Characteristics of National HRM System: Hybridizatıon of Korean HRM System. Presented in International Conference on Economic and Social Studies (ICESoS15). Held in Sarajevo, Bosnia and Herzegovina 23 – 24 April 2015. Bayraktaroglu, S. Atay, E. and Kahya, V. (2015), Effects of Regional Development Agencies on Motivation of Entrepreneurship: the case of Turkey, Presented in International Conference on STI and Development. Held in Seoul, Korea, September. Tok, M. Atay, E. (2016), From Crisis to Innovation: Turkish Poultry Company Banvit Case. Presented in International Conference on Economic and Social Studies (ICESoS`16). Held in Sarajevo, Bosnia and Herzegovina 21 – 22 April 2016. Muradoglu, F. Atay, E. (2016), Turkish Automobile Sector Analysis. Presented in International Conference on Economic and Social Studies (ICESoS`16). Held in Sarajevo, Bosnia and Herzegovina 21 – 22 April 2016. Atay, E. Topal, Z. (2015), Formation of a Higher Education Organizational Identity: Between Imaginations and Standards: the case of a Turkish Foundation University. Presented in International Conference on Economic and Social Studies (ICESoS`1). Held in Sarajevo, Bosnia and Herzegovina, 23 – 24 April 2015.